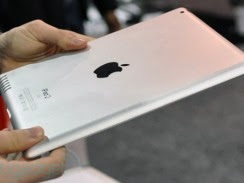 Three Foxconn employees were arrested in late 2010 for violating Apple's trade secret agreement and leaking details about the design of the iPad 2, and were charged this week. All three of the employees were arrested in China in December, over three months before the iPad 2 was unveiled by Apple CEO Steve Jobs. The alleged leaks let accessory makers create designs, some of which were very close to what the final product was, including the rounded back, camera location and new speaker location. Foxconn is a major producer of Apple products like the iPhone, iPad and MacBook Air but made headlines last years after a slew of suicides at their factories. It was then reported that worker's families were making more money from the suicide compensation than the workers were making in three years of labored salary.